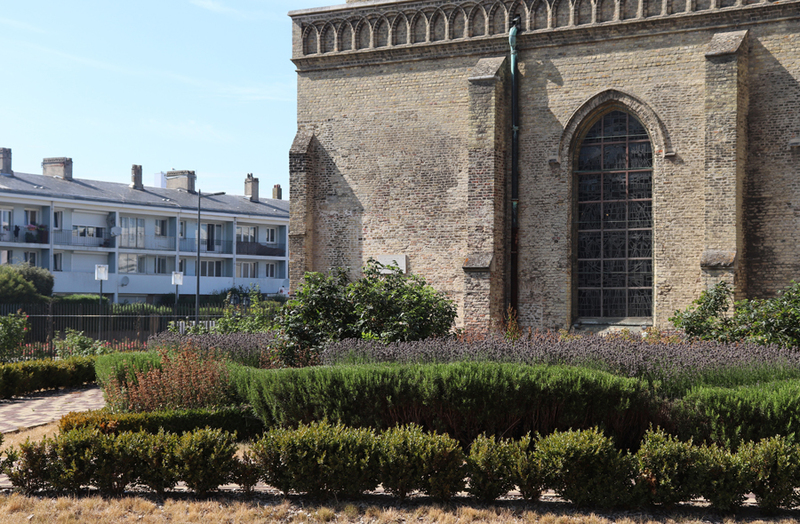 On a glorious summer’s day, we’re smitten by the charm of Calais and its most passionately historic monument. Eight centuries of art and beauty, form and faith, in glorious harmony. What’s not to admire? 1214: A small stone church is erected. 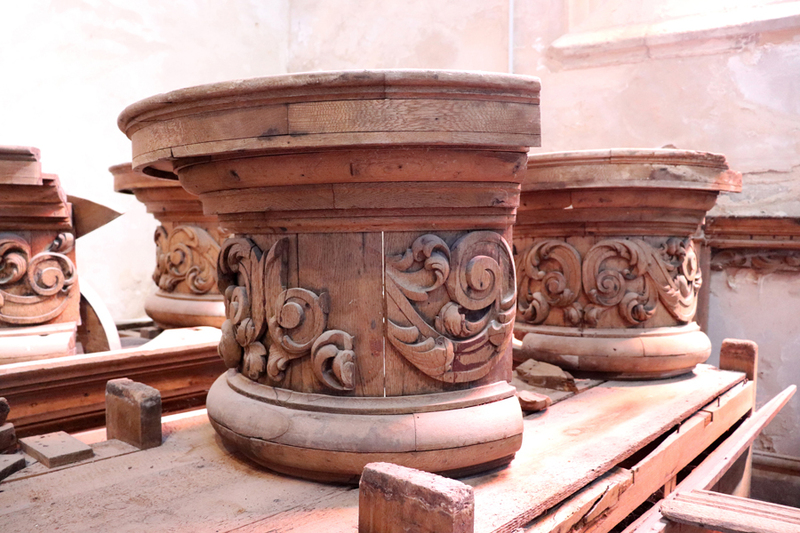 1224: It is extended to become a parish church which will be subsumed into the final building. 1347: Calais is captured by the Plantagenets in August and the Archbishop of Canterbury becomes head honcho of Notre Dame. 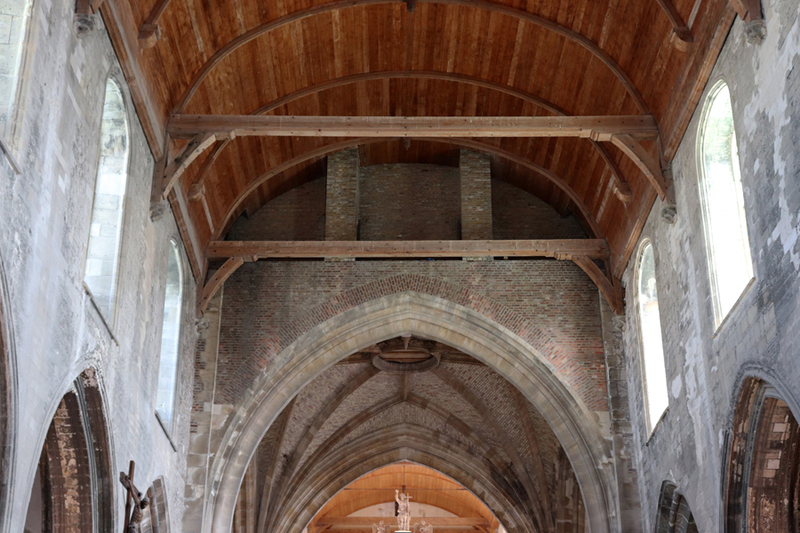 The nave is heightened, the side aisles widened and a bell tower is built above the intersection of the nave and the transept. 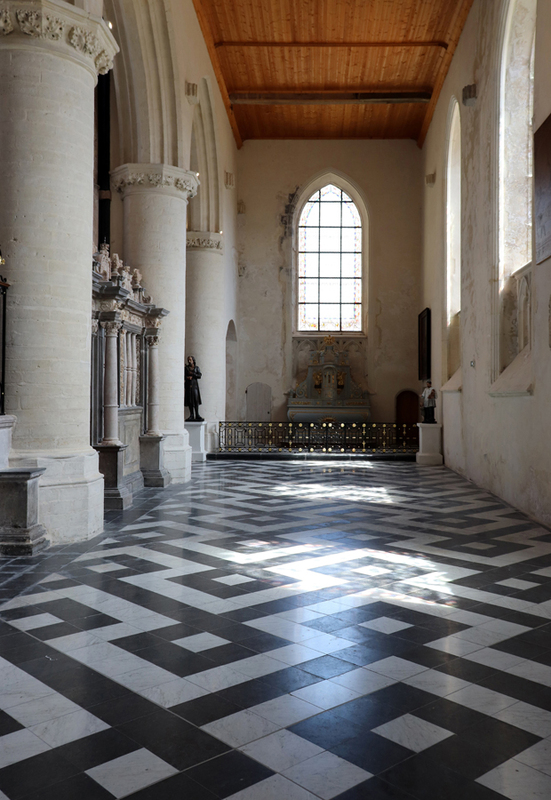 Flemish masons add their twist to the perpendicular English architecture. 1469: On 11 July George Plantagenet, 1st Duke of Clarence, marries Isabel Neville. 1558: Calais remains under English control until it is recaptured in January by the 3rd Duke of Guise aka “Scarface”. It then falls under Spanish control for a while. 1560: St Nicholas Church is demolished making Notre Dame the top place of worship in the town. 1598: Under The Treaty of Vervins between King Henri IV and Phillipe II of Spain, Calais becomes French again. Phew! 1600: A side chapel is built. 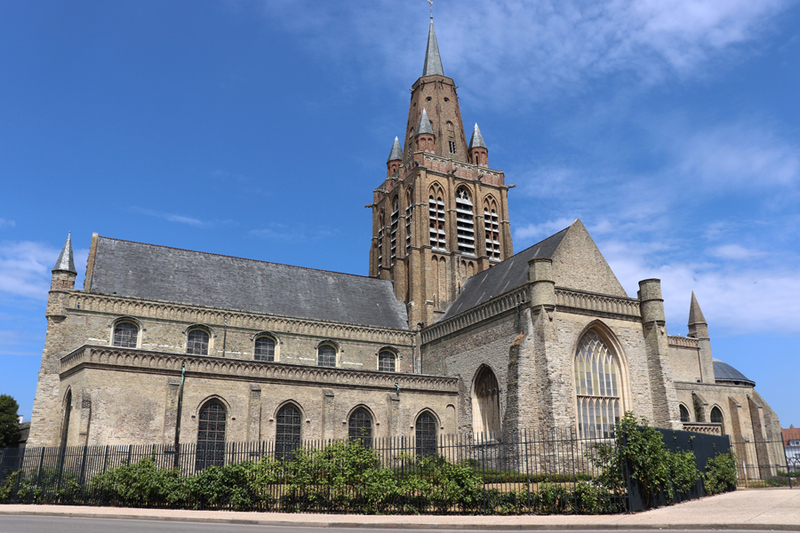 The church is now 88 metres long and has over 6,000 congregants. 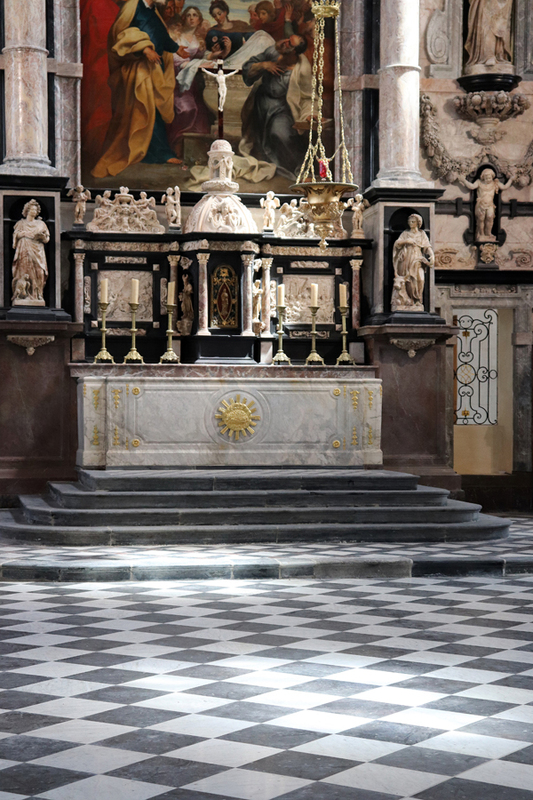 1624: A sculptor from Coulogne, Adam Lottman, creates the tripartite marble and alabaster retable or high altar, 17 metres high by 10.5 metres wide. Statues of St Louis and Charlemagne are mounted on either side with Christ at the top of the retable. 1629: Assumption of the Virgin Mary, a vast painting by Gérard Séghers, a student of Rubens, is placed in the centre of the high altar. 1631: The Lady Chapel is added. 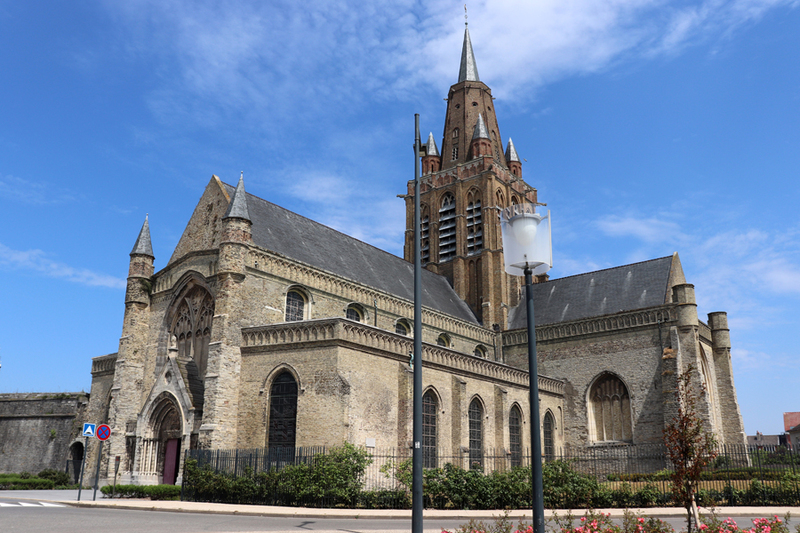 1802: After being converted to a Temple of Reason during the French Revolution, the church is reconsecrated. Double phew! 1863: The Dean of Calais commissions plasterwork decoration of the vaults. 1921: Charles de Gaulle marries local lass Yvonne Vendroux on 7 April. 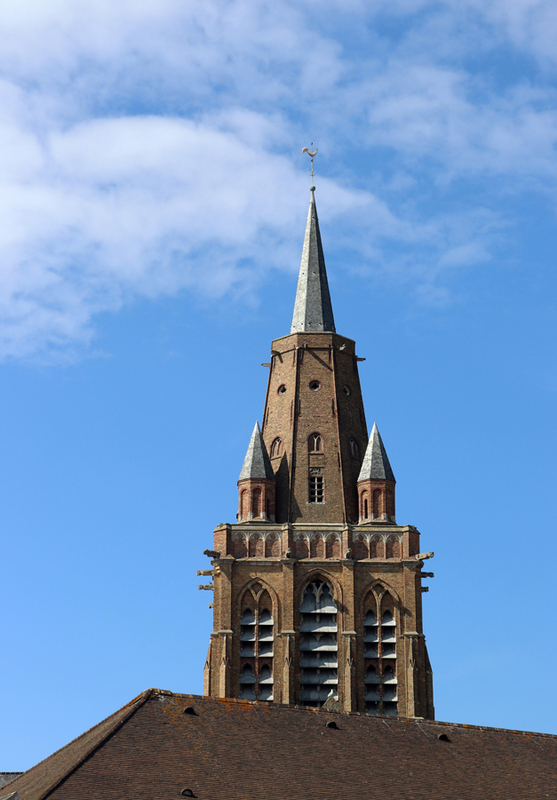 1944: Allied Forces bombard Calais and the 58 metre high bell tower of Notre Dame falls through the roof into the north transept. 1963: Reconstruction of the nave and bell tower begins. 1970: The roof is put back. 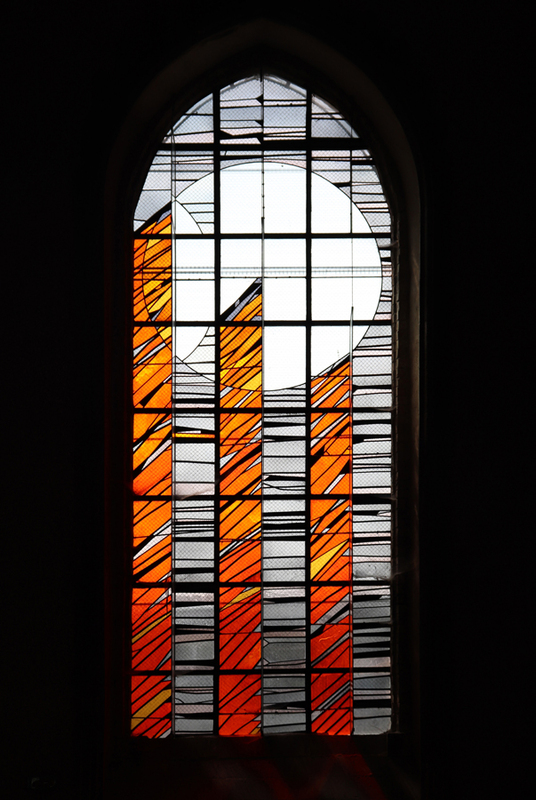 1976: Stained glass windows by Gérard Lardeur are added. 2002: The Historical Monuments Superior Committee undertakes restoration surveys. 2009: The Association for the Development of the Architectural Heritage of the Calaisis begins restoration work. 2010: English landscape architect Caroline Holmes is commissioned by the Association to create a Tudor Garden. 2014: The jewel of the Pale of Calais restored. Triple phew! 2018: Lavender’s Blue descend on Notre Dame Church. 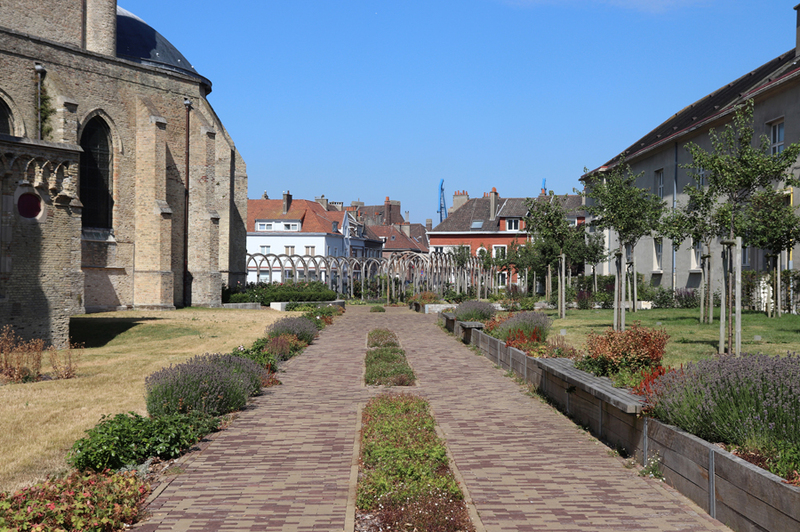 This entry was posted in Architecture and tagged 1st duke of clarence, adam lottman, caroline holmes, charles de gaulle, duke of guise, george plantagenet, gerard lardeur, gerard seghers, isabel neville, king henri iv, notre dame church calais, phillipe ii, treaty of vervins, tudor garden, yvonne vendroux. Bookmark the permalink.